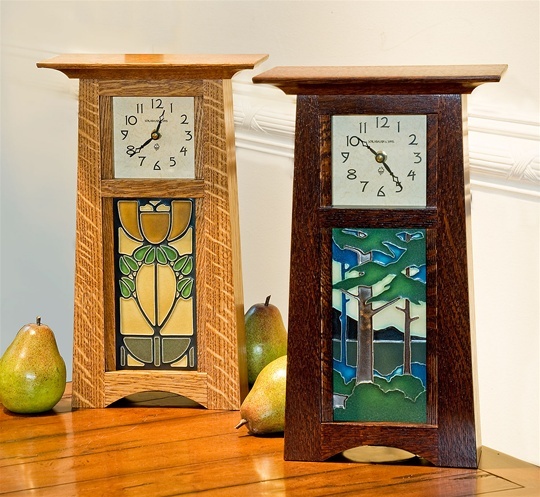 The Schlabaugh brothers have been creating Arts & Crafts and Greene & Greene inspired clocks together for over 20 years. Settled in Amish country, they learned their trade from their father. 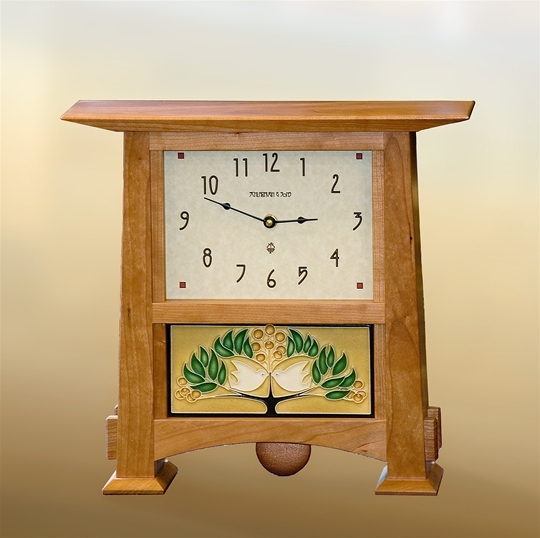 Clocks can be made in stained quarter sawn oak, natural cherry or natural mahogany. 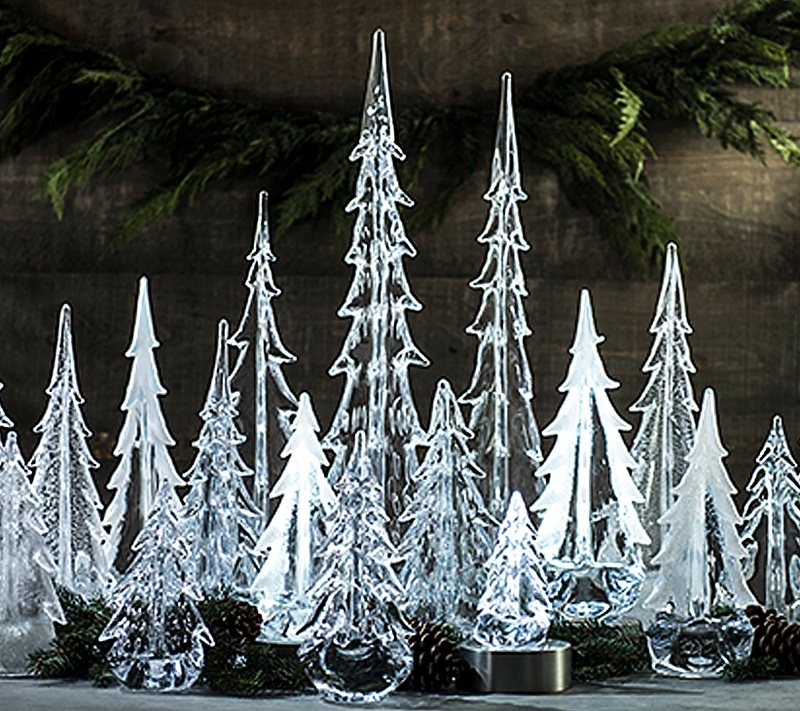 Each is hand made with a wonderful emphasis on detail. 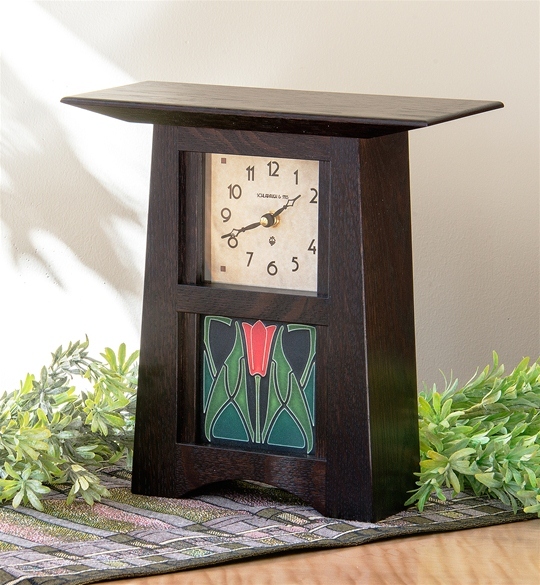 In recent years, they have teamed up with the Motawis to create mirrors, lamps and clocks fusing their love of wood with the iconic look of the Motawi tiles. 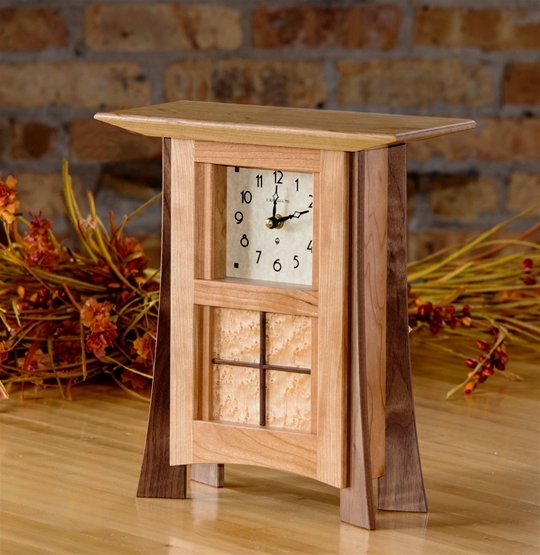 The Horizontal Tile Clock is available in cherry (as shown) or stained oak. It can be ordered with any 8×4 Motawi tile. Shown with Lovebirds tile in Green Oak. Please specify your tile choice at check out in the 'Gift Message' line.